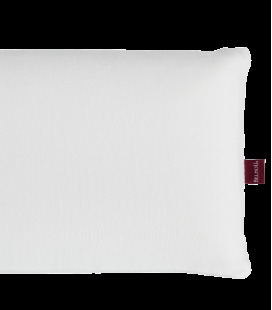 Memory foam Pillows with the best core, fabric and touch. Find out your perfect pillow. 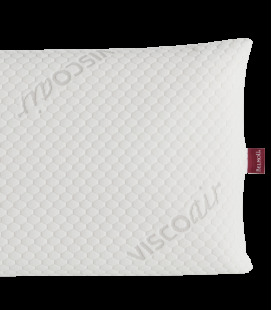 Memory Foam gel nucleus with great lightness, softness and sponginess. Doesn't produce any kind of pressure. 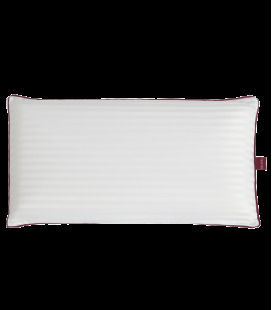 Its nucleus absorbs and dispels heat with soft and fim adaptability. 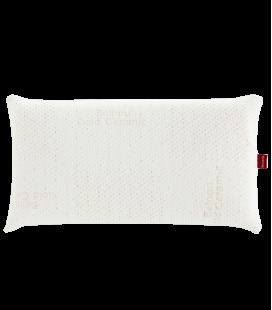 Double washable case and elastic Stretch Air fabric. Ecological Oeko-tex Certificate Confidence in Textiles. Made in Spain. 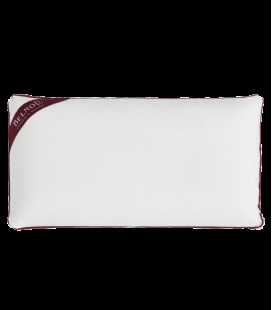 Memoty Foam Pillow. Two faces with two diffrent reception sensations. 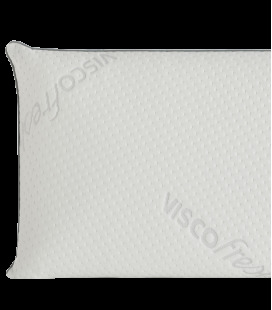 Visco Soft face with Silver 3D fabric. 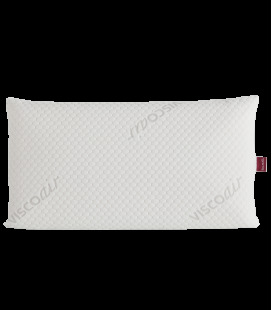 Perspirable micro-porous light memory foam, transmits a special softness and sponginess, dispelling heat and humidity. Traditional memory foam face with Stretch Air fabric and 50kg/m3 nucleus. 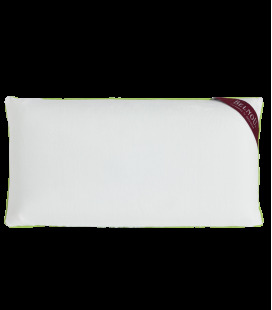 Memory Foam ergonomic Pillow. Adapts to every morphology allowing a better neck position. 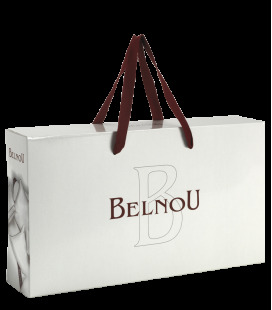 Exterior case in Stretch Visco Air fabric, washable and with a zip fastener. Memory foam nucleus made with vegetable seeds. Natural and very nice to the touch. Doesn't produce odours, doesn't contain toxic products or CFCs. Quality assurance Oeko-tex certificate Confidence in Textiles. 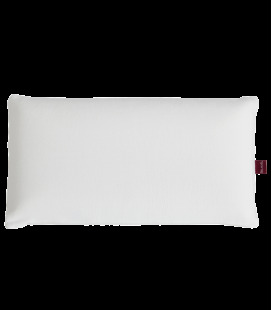 Memory Foam travel pillow with exclusive washable velour 100% sheared cotton exterior case with extra-soft touch. The best quality, with viscoelástic nucleus. Anti-dustmites. 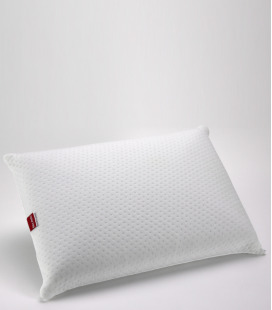 Memory Foam nucleus with holes for perfect ventilation and free air circulation. Ultra fresh and higienic pillow. 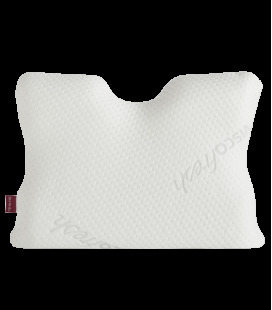 Medium softness, recomended to sleep on your back or side. 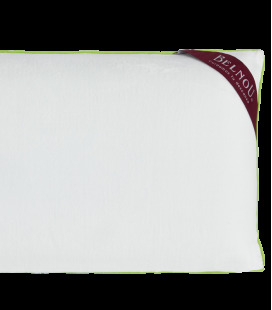 High quality Memory Foam Pillow Anti-dustmites. 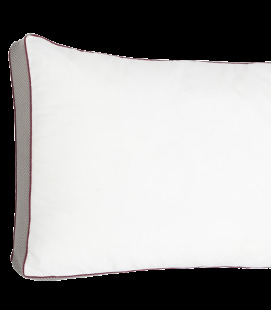 Exclusive Velour 100% cotton fabric extra soft, edged in maroon. 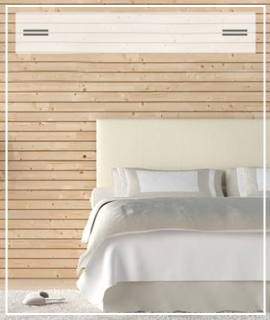 Anti- dustmites finish Sanitized scientifially tested with permanent protection against mites, bacteria and fungal grow. Quality assurance Oeko-tex certificate Confidence in Textiles. Made in Spain.